And Benjamin Moore didn’t stop with the introduction of Metropolitan. 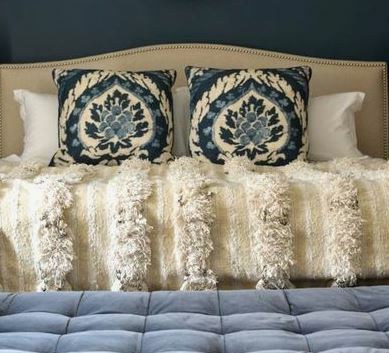 The brand has also released its Color Trends 2019, a palette of hues, ranging from neutrals to rich blues and greens, that all complement Metropolitan. 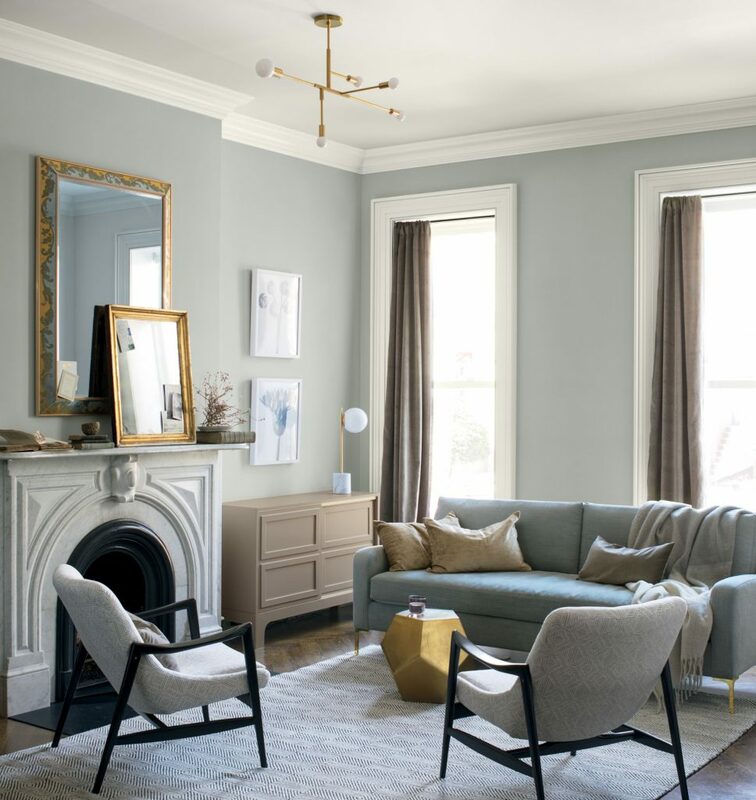 Whether you choose to go bold in an entryway by pairing Metropolitan with navy or use the gray shade with a mix of other neutrals in a living room, the curated palette is sure to spark paint ideas. F. Schumacher & Co. is a privately held company based in New York City and Newark, Delaware, that designs products for the interior design industry in the United States. 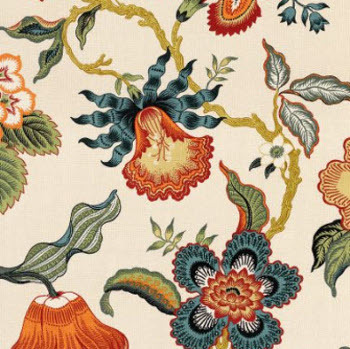 Established in 1889 by Frederic Schumacher, F. Schumacher & Co. is a fifth generation business and the only supplier of decorative textiles from the 19th century still privately owned and managed by direct descendants of its founder. 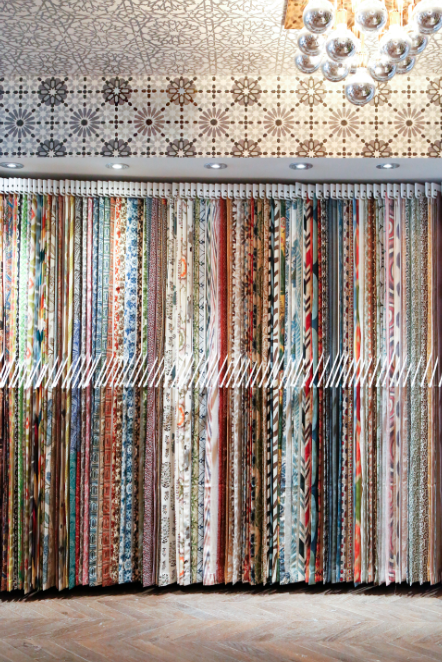 The company sells fabrics, wall coverings, trimmings, furnishings, and floor coverings under two brands, Schumacher & Patterson, and Flynn & Martin. F. Schumacher & Co. currently maintains 18 showrooms in several countries and sells to the interior design trade. Frederic Schumacher came to New York with the French textile company Passavant & Co. In the same year, he opened F. Schumacher & Co. at 22nd Street and Broadway on Manhattan’s Ladies’ Mile (now the Ladies’ Mile Historic District). With the Gilded Age in full swing by 1893, Schumacher became a textile supplier and sold decorative fabrics to new American mansions and hotels, including the Waldorf-Astoria and the Vanderbilt. In 1895, the company purchased a domestic fabric manufacturing facility, the Waverly Mill in Paterson, New Jersey. The factory later helped with the production of parachutes and other military equipment during the World Wars. In 1925, Schumacher took part in the Exposition Internationale des Arts Décoratifs et Industriels Modernes in Paris, an exhibition of Modern Art, a movement which inspired styles such as Art Nouveau and Art Deco. According to Jeffrey Simpson, who wrote in Architectural Digest in 2008, it is most likely that just before 1930 Pierre Pozier, nephew and heir of Frederic Schumacher, brought Poiret into the company as its first fashion luminary. At that time Poiret was asked to create the first designer fabric collection for the company. Poiret came up with simple Modernist shapes for his fabrics inspired by his contemporaries, Cubist painters. By 1939, during the Great Depression and Second World War, the company contributed to the war effort by producing material for parachutes, life preserves, and other wartime products for the navy and air force. From 1939 until 1946, the comapny’s New Jersey-based mill, Waverly, operated 24 hours a day. With rise in suburban communities and the American housewife, Waverly (a division of Schumacher, which was sold in 2007) marketed directly to the department store consumer and began advertising in print media in 1944 with the first slogan “all three,” allowing customers to purchase fabric, wallpaper and carpeting in one place. In 1951, a custom-designed Liberty Bell and Liberty Cap were woven at the Schumacher mill for both the United States Senate and the House of Representatives. 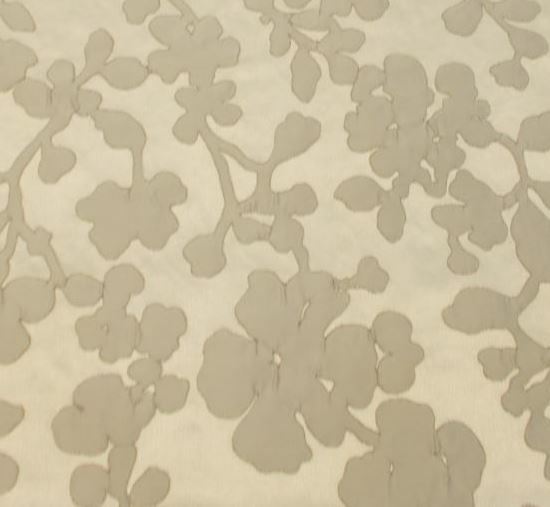 In 1950, First Lady Bess Truman selected fabric from F. Schumacher & Co. designed by Vera Neumann ) to decorate the White House’s third-floor Solarium windows and upholstery. 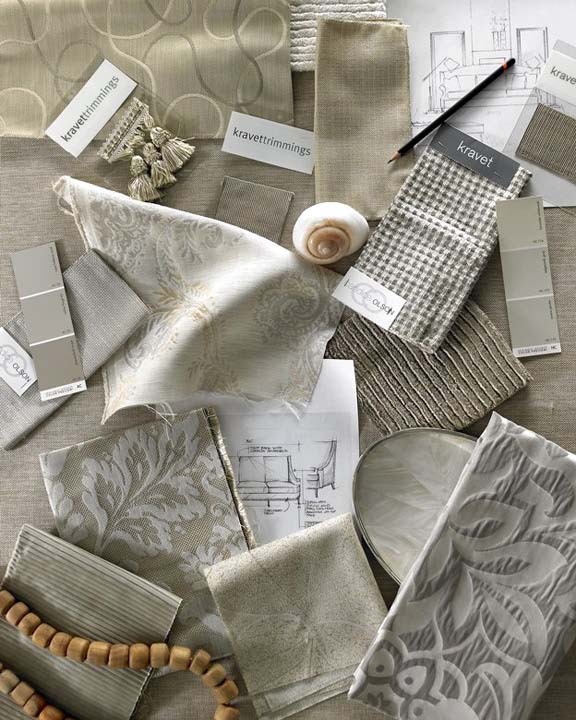 Currently the company designs, manufactures, and is a supplier of decorative fabrics for residences and other interiors. They sell luxury textiles to the contract market. They specialize in historic reproductions, oriental rugs, exclusive designs by Wilton, and rugs which are tufted by hand. They also design handmade rugs. They sell exclusively to interior designers utilizing a network of sales people and showrooms located throughout the world. In 1990 the company opened a distribution center in Richburg, South Carolina. In 2014 the company moved to a smaller facility in Fort Mill, SC to better accommodate a work force of 40 while still being a convenient distance to the Charlotte-Douglas International Airport. 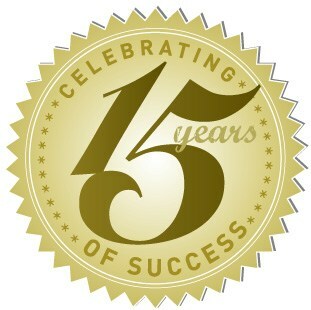 DrapeStyle has been in business for over 15 years. We still make each drape, each Roman shade and each pillow, by hand. We make our products with extraordinary quality, and unwavering integrity using the finest fabrics. Schumacher has collaborated with many of America’s top interior designers. 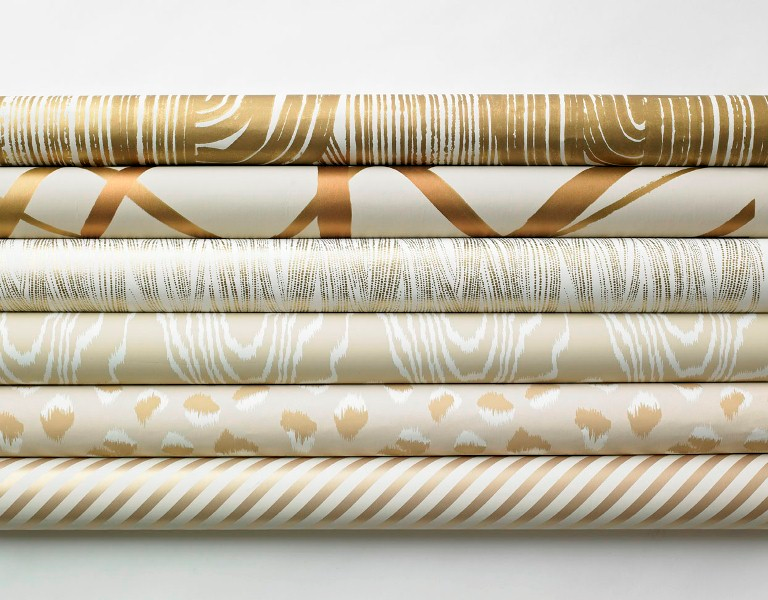 Martyn Lawrence Bullard, Mary McDonald, Kelly Wearstler, Celerie Kemble and Trina Turk are some of the contemporary designers who have created outstanding designer fabric and wallpaper collections for Schumacher and DrapeStyle carries all of them. For more information on the Schumacher sale or to order samples, please contact us. 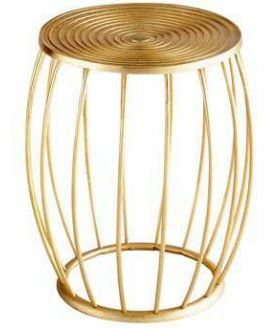 I have to admit that when I first saw this gold trend my mind immediately went to the early 90’s shiny tacky brass. But this isn’t the brass and glass colonial chandelier you had hanging over your dining table. 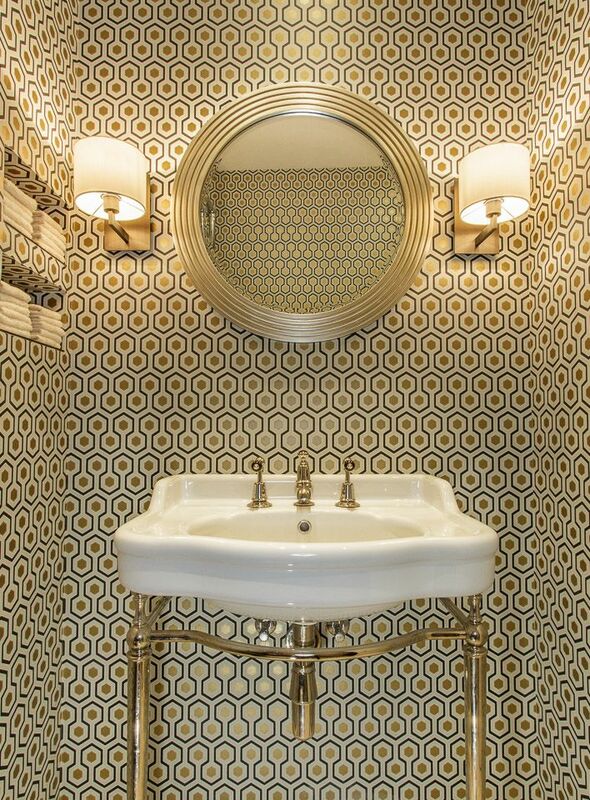 Today’s gold fixtures have been updated to look sleek and contemporary. 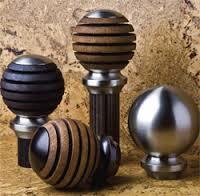 Warm hues as accent pieces or hardware, in a satin finish. 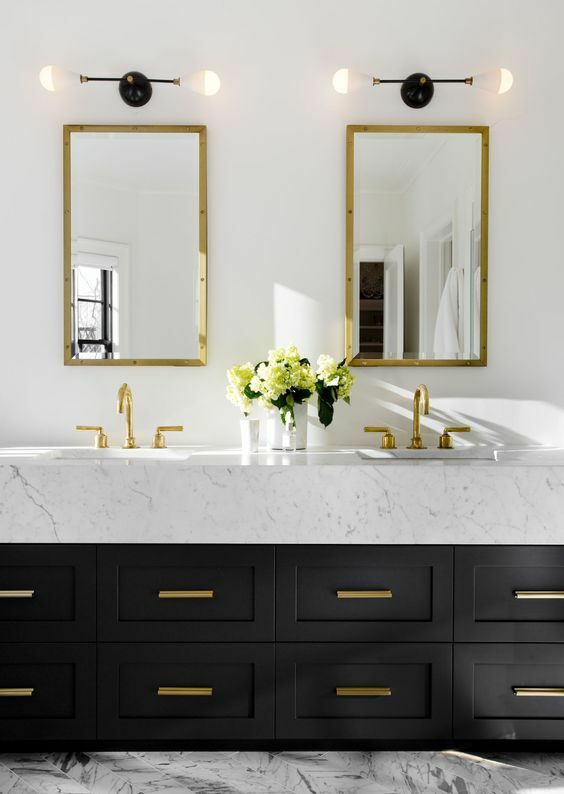 Go for the gold in the bathroom-knobs, drawer pulls, towel rings and wall sconces all come in beautiful golden hues. 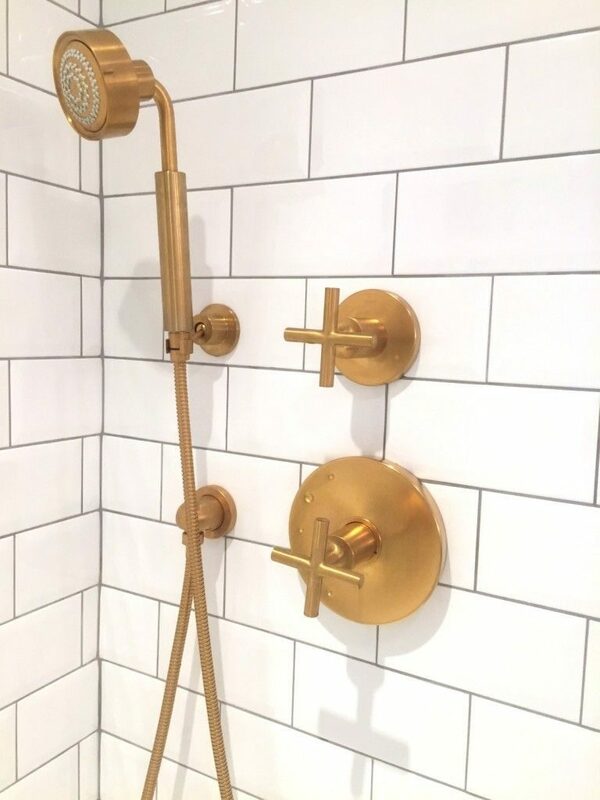 Replacing your plumbing fixtures can be an easy and inexpensive way to add a little gold to your home. Wallpaper with shine. 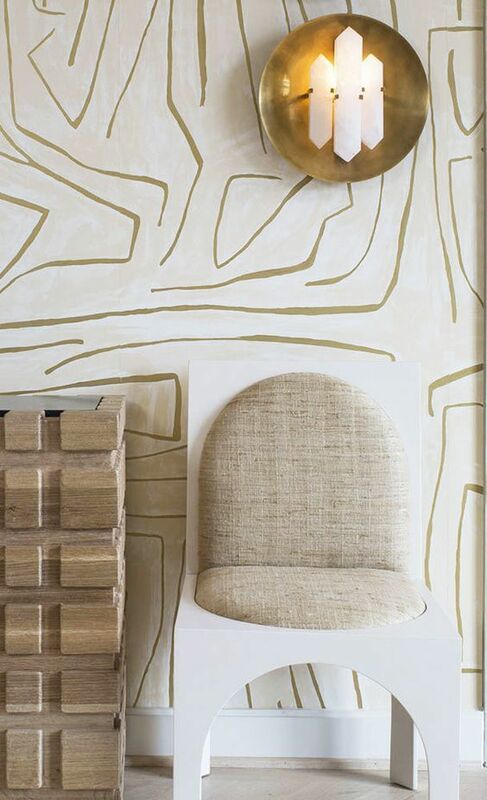 Adding a gold wallpaper will add depth and richness to your room and adds a focal point to your space. It’s sleek, it’s sophisticated and it’s stunning. 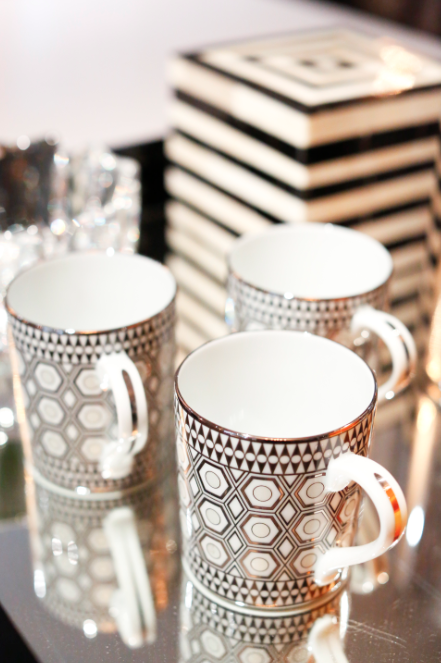 Metallic accents can add a pop of glam and sophistication to your home. 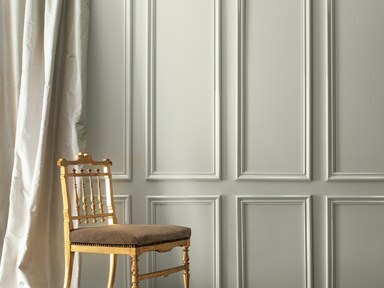 Try adding metallics to a dark painted room. The shine from the metal will add drama and shine to your room. Adding metallics to your home can help create a focal point, or add a feeling of luxury and glamour. 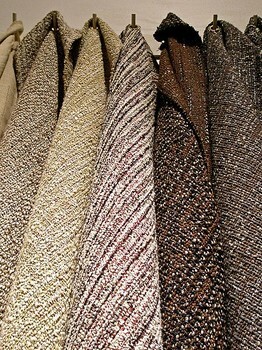 DrapeStyle has many fabrics that can compliment your gold accents. Please view our fabrics for ideas and designs. Contact us for more information and ideas. 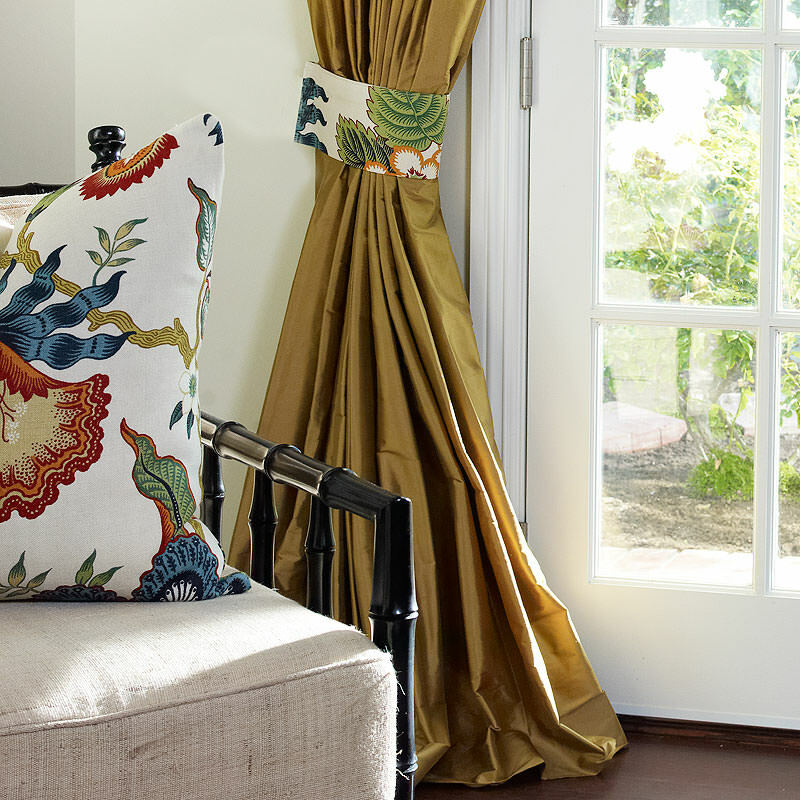 DrapeStyle has been making custom draperies, curtains, Roman shades and pillows for 15 years. We have a team of talented seamstresses that can make just about anything you dream up. Contact us for more information. 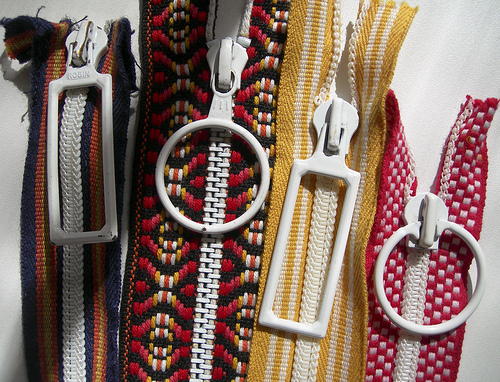 One of DrapeStyle’s most popular designers is Celerie Kemble. We offer many fabrics from her collection and we thought you would enjoy learning more about the accomplished interior designer. 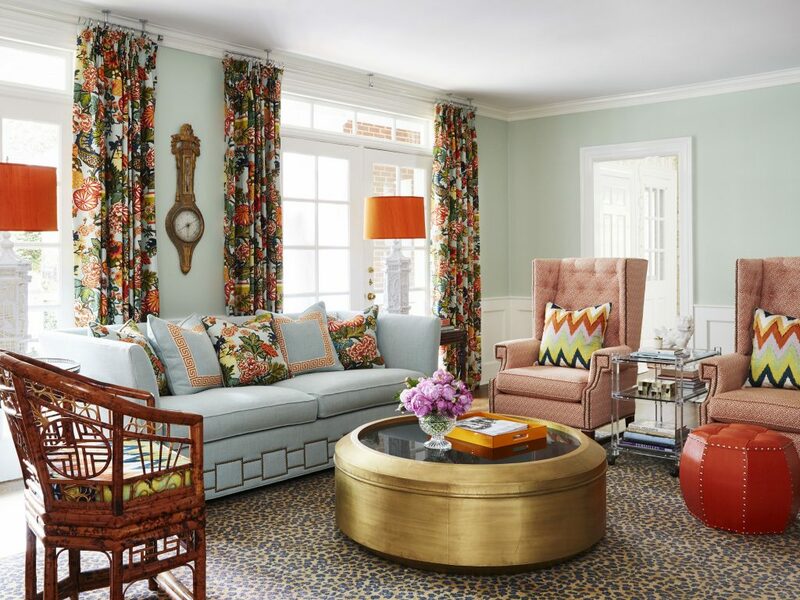 Mimi’s daughter and partner in the New York office of Kemble Interiors, Celerie Kemble claims her childhood was in many ways a design tutorial spent around construction sites, antique stores, and in the unique homes designed by her mother. A graduate of Harvard, Celerie worked briefly in film production before quickly succumbing to what she calls a compulsion for design and the creation of thoughtful interiors that “put the person in the place.” Since then, she has spent the past 18 years cultivating a portfolio of much publicized residential and commercial interiors that are as unique and diverse as her clientele. Based in London, Phoebe can also be found in Paris, New York, The Hamptons and Palm Beach. She is not only a lifelong foodie and graduate of Le Cordon Bleu, but also holds a B.A. from Brown University. Mimi, Celerie and Phoebe make up a creative family trio who excel at devising environments and experiences that delight and inspire their clients. 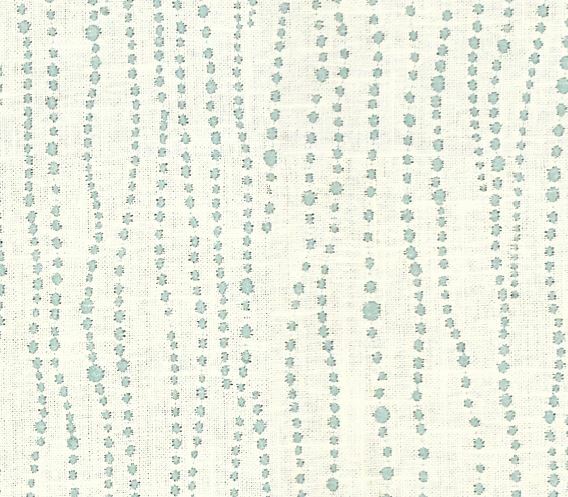 If you would like samples of Celerie Kemble’s fabrics, or need a little more information, please contact DrapeStyle. 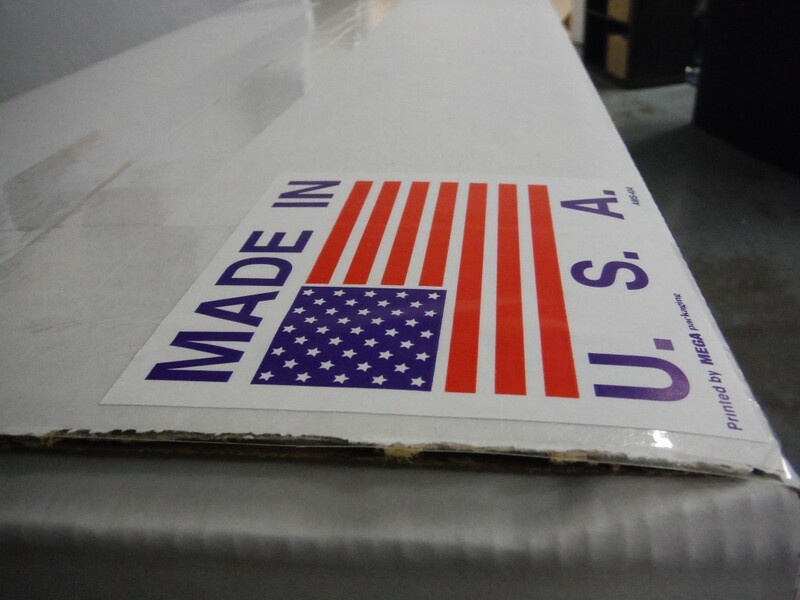 We’ve been making custom window treatments and pillows for over 15 years right here in the USA. 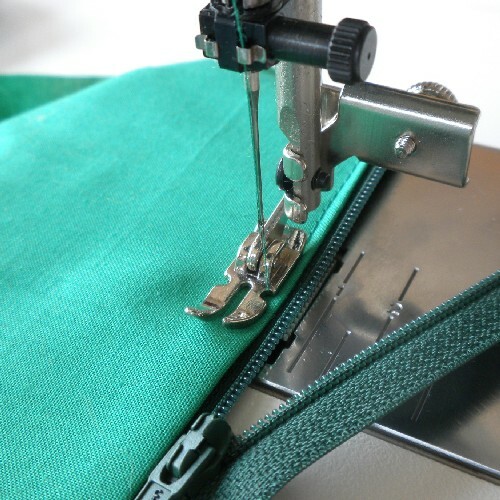 All of our products are made from only the highest quality materials by seamstresses who have an average of 25 years of experience making custom drapery. Please join us in the DrapeStyle experience, you will be pleased. 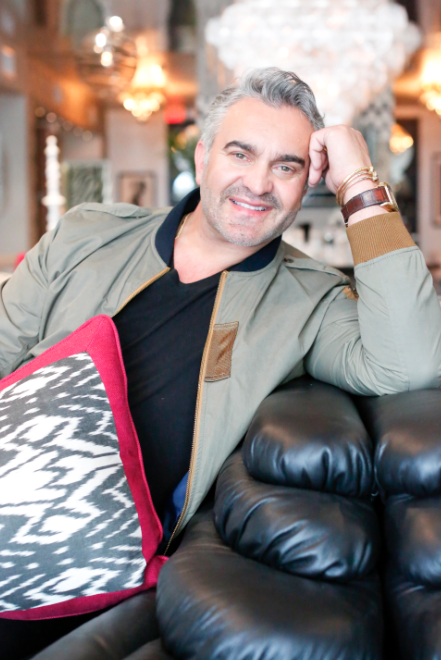 One of DrapeStyle’s favorite designers is opening his first showroom today and we couldn’t be happier! Legends returns to La Cienega Design Quarter next week and, ahead of the yearly fair’s festivities, London-born, Los Angeles-based designer Martyn Lawrence Bullard is swinging open the doors to his inaugural showroom. The space, located at 8550 Melrose Avenue, below his existing office, is defined by an array of special objects, items and collections: photography curated in tandem with L.A.’s own Fahey Klein Gallery; Bullard’s Schumacher-licensed fabric and wallpapers and porcelain from his Haviland Limoges collection; exclusively represented lines, like new textiles by Palm Springs fashion designer Candice Held, and more. Serving as home to limited-edition artwork, photography, custom furniture, lighting, rugs, tabletop, silver, crystal and jewelry, as well as a gallery outfitted with screen-printed textiles and wallpapers, the showroom is designed to appeal to interior designers and Bullard’s design clients alike, “to see fabrics, furniture, and accessories that I would use in their own interiors or build schemes around,” says the designer. “The space was designed to really maximize exposing my collections, but in a way that feels like a true interior,” explains Bullard, who will host book signings of his Design & Decoration and open houses on May 10 and 11 during Legends. 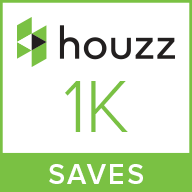 The space was crafted with residential clients and designers in mind. Furniture from Bullard’s line was scaled for the showroom specifically “to create a more residential experience,” while the lighting incorporates chandeliers, as opposed to a spotlights-only design, in order to “show how the lighting pieces would feel in a home.” Designers are invited to meet with clients at the space’s bar area, located at the back fabric and wallpaper gallery. Customizing your window treatments is easy. 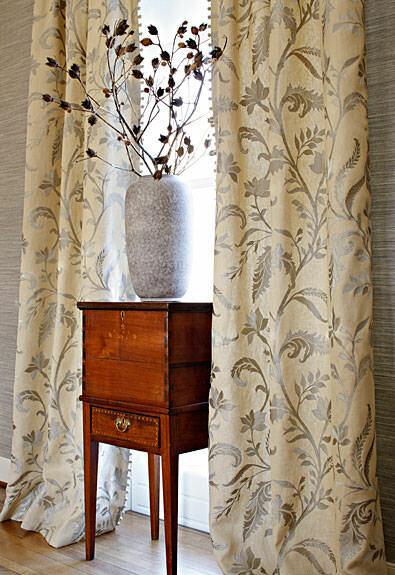 Martyn Lawrence Bullard’s fabrics are available at DrapeStyle. Visit www.DrapeStyle.com or contact us for more information. This is a question I get quite often. What is the difference between your Standard Privacy Lining and Blackout Lining? 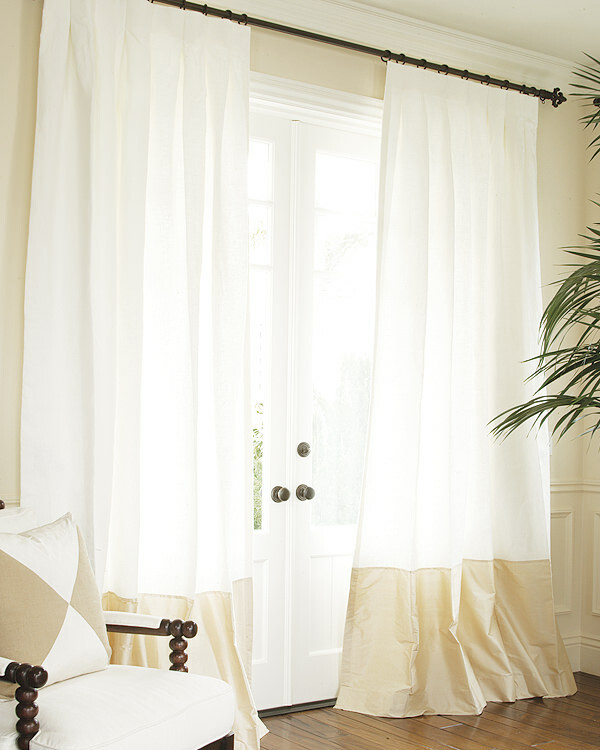 Either lining will protect your draperies from the sun, making them last for years. 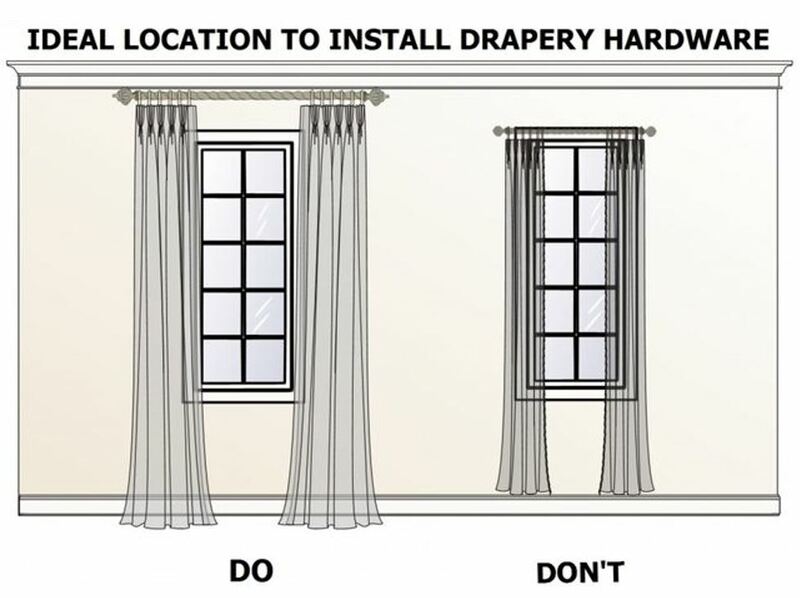 It is because of this, we always recommend that you line your draperies. 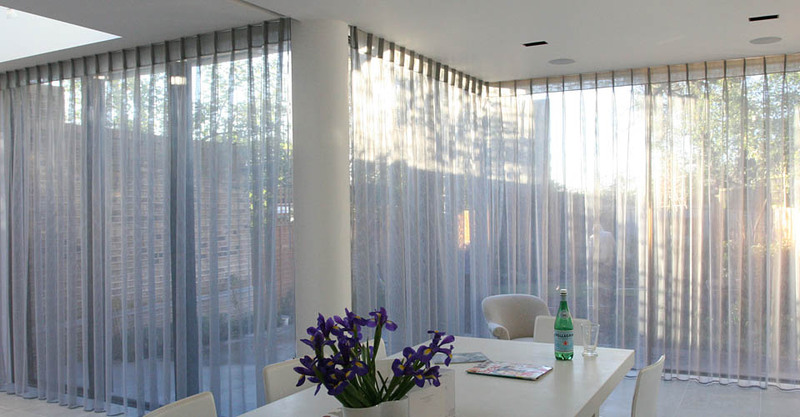 Our Standard Privacy Lining is a thin and flexible. 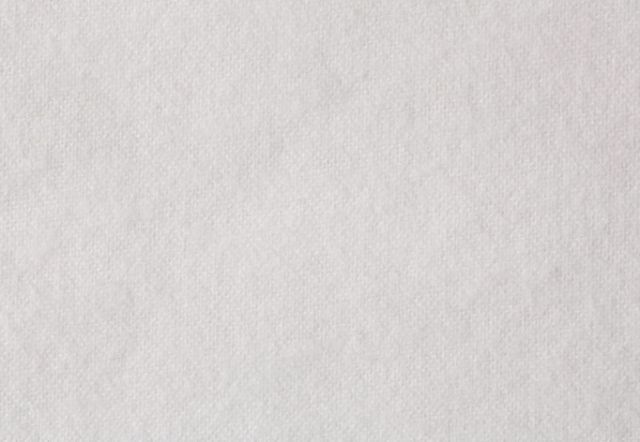 A tightly woven fabric made of 50% Polyester and 50% cotton. It is white in color. Our Blackout lining is constructed of multiple layers, woven tight to block sunlight in drapes and shades for style and functionality. 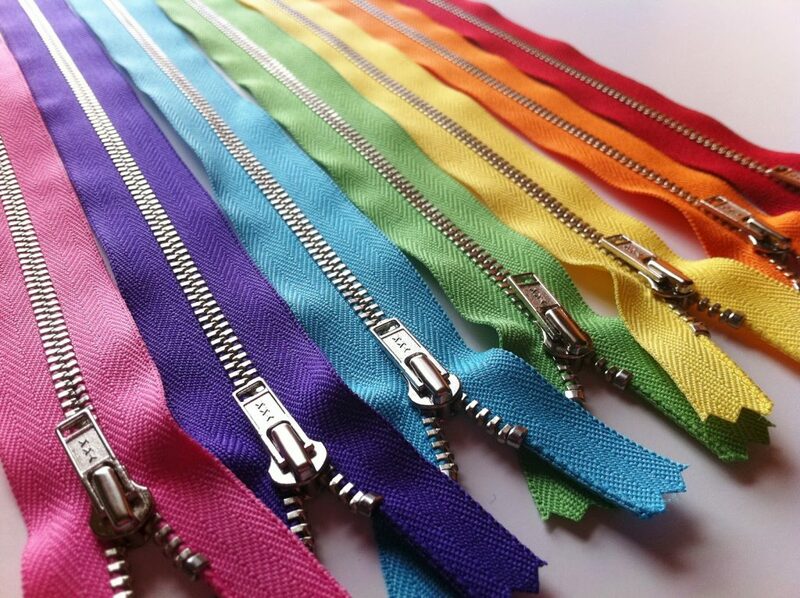 Made of 100% polyester, it is thin and flexible. 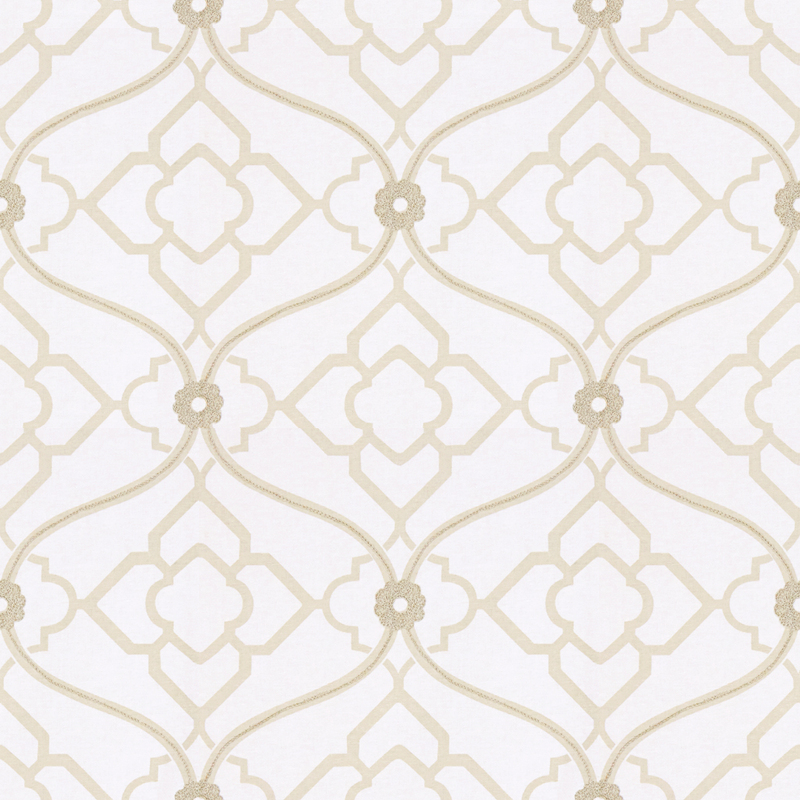 Also, our Blackout Lining is not black, it is white so that it will match the other drapery linings in your home. We did a little informal demonstration to better illustrate how much light blackout lined custom drapery eliminate. The following photo is shot on a single window with two linen drapery panels. 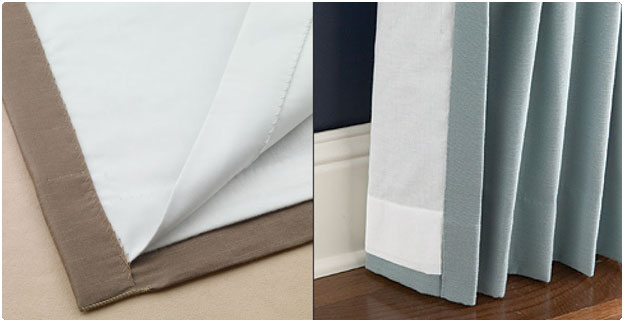 The drape on the left was made with standard privacy lining, the drape on the right was made with blackout lining. The photo was shot on a hot and sunny afternoon. The difference between the two curtain panels is quite dramatic. When you see how much of the light is blocked by the blackout lining (95%) you really get a better understanding how using quality lined curtains, drapery or roman shades would significantly lower you home’s energy bills and save your interior upholstery fabrics from sun damage. We encourage the use of this lining whenever the application is appropriate. 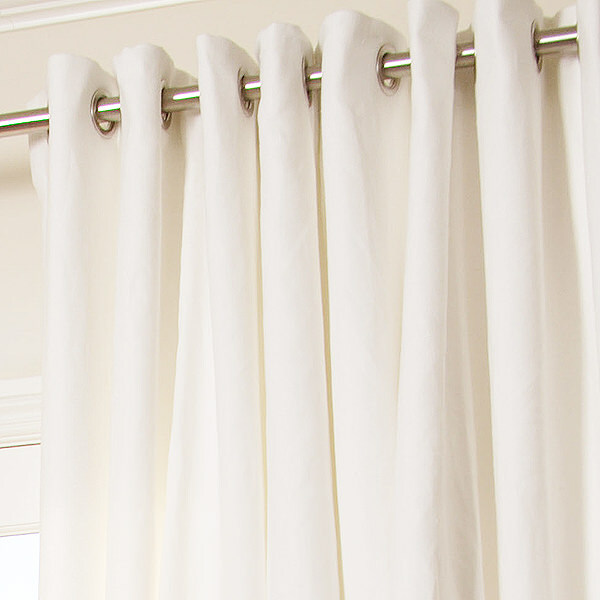 It certainly adds weight to the drapery but if you are using quality drapery hardware, blackout is really the way to go when buying your next pair of custom drapery or curtains. 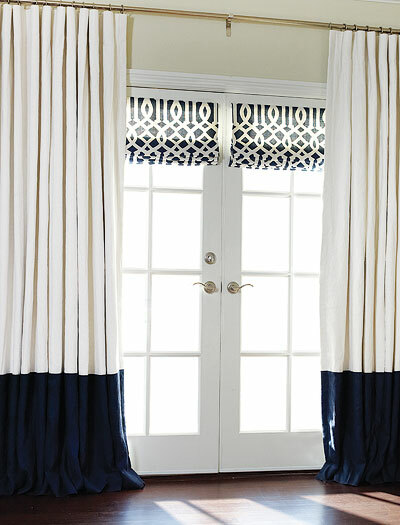 At DrapeStyle we make each set of drapes to order with your choice of lining. 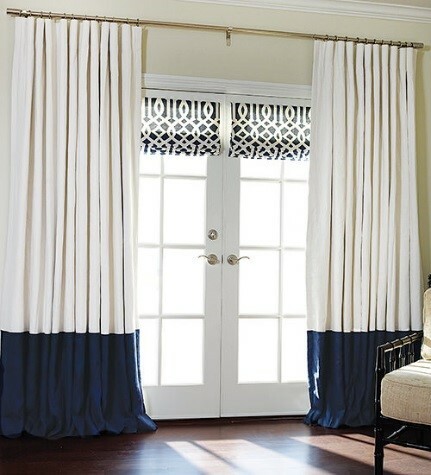 Whether you would like silk, cotton, linen or any other of our custom drapes, you can upgrade the lining option to blackout for only $99 per panel. All of our drapery linings are manufactured by Hanes which has been the leader in manufacturing quality drapery linings for nearly 100 years. Simply select “Blackout Lining” from the lining selection on any of our drapery pages and we will add this this to your drapery panels. If you need a little help determining the size drapery or shade for your window, we’re here to help. Simply contact us and one of our designers would be happy to help you with your measurements, fabric selections, or answer any lining questions you may have. 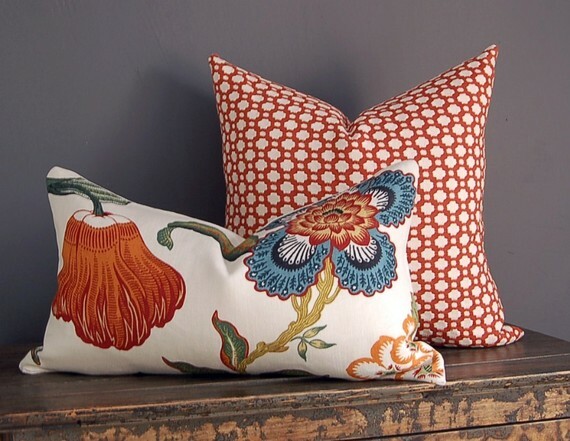 Candice Olson fabrics are now at DrapeStyle! 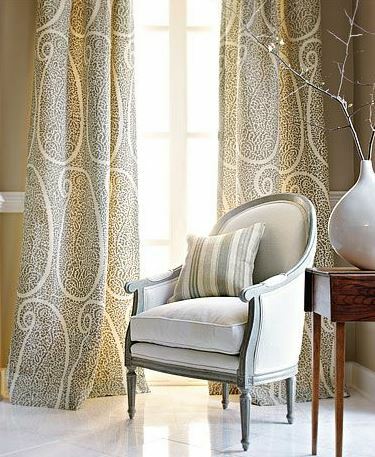 Candice Olson fabrics; Denali drapes, Chloe chairs. 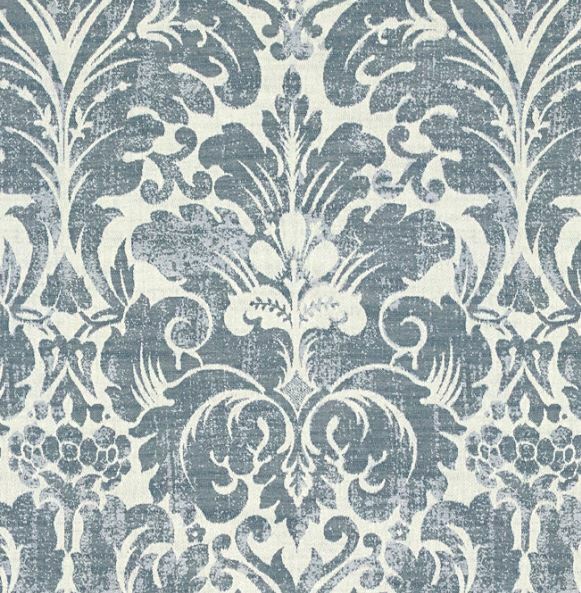 We invite you to view our new Candice Olson fabric collection and order samples for yourself. Since 2002, DrapeStyle has provided quality fabrics, quality craftsmanship, excellent customer service. 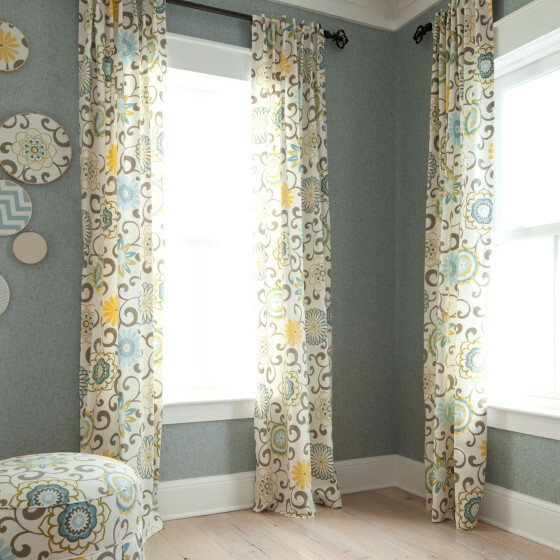 DrapeStyle is proud to feature Candice Olson fabrics, available for your custom made window treatments projects. If you need a little advise about your window treatment project, we are here to help. 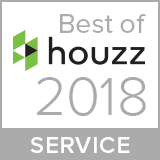 DrapeStyle has won the best in Customer Satisfaction for four years in a row! Simply contact us and we would be happy to help you with your window treatment project! 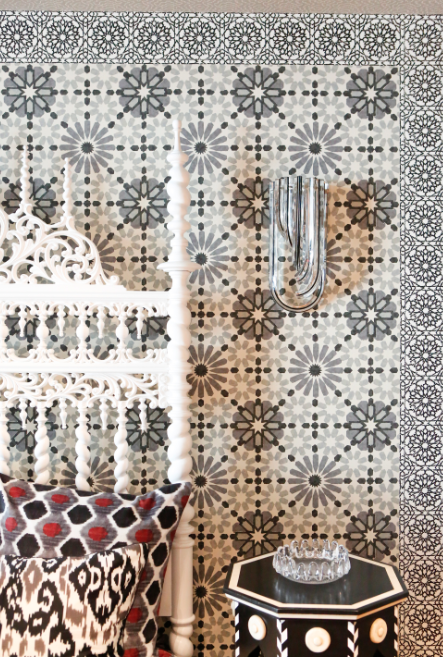 When you design with winter whites, the resulting interior can be fresh, warm and inviting. 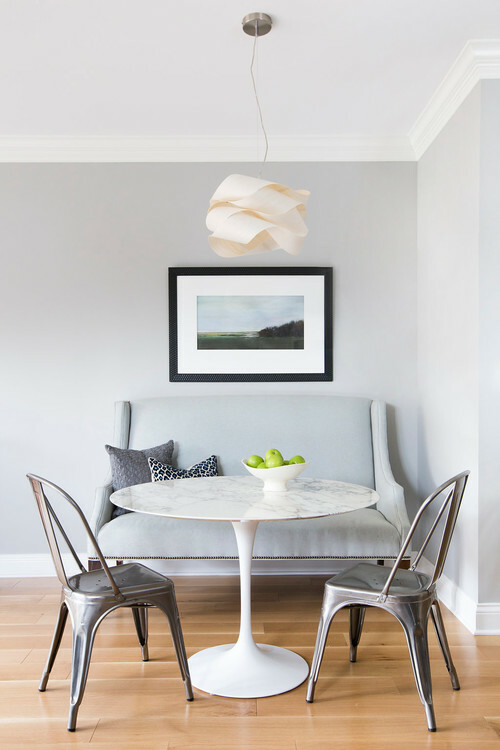 Shades of white are the perfect interior design palette to counter the gloomy doldrums of winter. 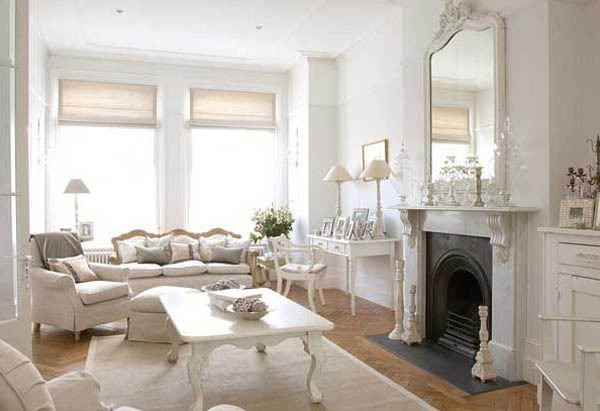 Always a chic choice, decorating with white is a here-to-stay classic, and it doesn’t have to be cold and impersonal. Top designers use classic white shades to create a relaxed living style with distressed furniture, flowers, plants, and muted accessories. The result? Rooms that look lovely and lived in. 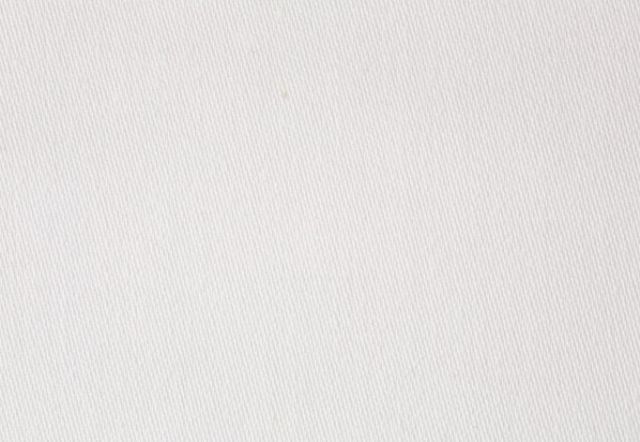 Start with a white painted room and you have a blank canvas for everything. The layering of parchment to oyster to cream looks so appealing and cozy. Don’t try to match shades; enjoy the subtleties. Select rich fabrics and layer objects of different textures. Consider white walls your easel. Art assumes greater prominence when placed in a white interior. Gallery owners have long displayed artwork against white walls for maximum effect. A pop of color goes a long way in a white room. 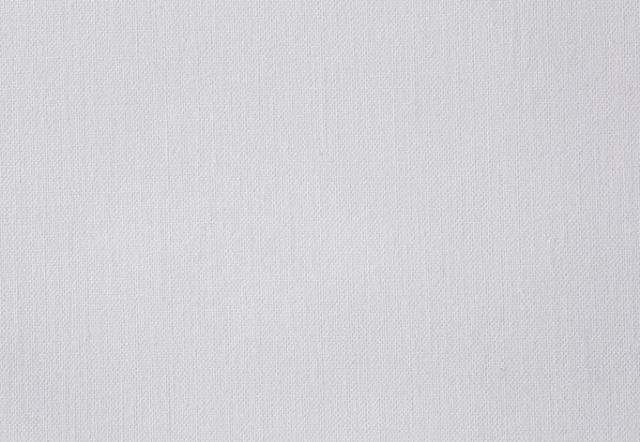 Almost any hue will bloom against a white backdrop and it is easy to change. Wood warms up even the most sparsely furnished winter white room, Have kids or pets? Consider stain resistant, or even outdoor fabrics. They can be durable and washable. Worried about your white drapes? Add a colored border to the bottom if the fabric will be grazing the floor. Love the winter white look? Great rooms start with great fabrics. Explore DrapeStyle’s hundreds of designer fabrics in an amazing variety of colors, patterns and styles. Whether you are looking for custom made Roman shades, Drapes or pillows, DrapeStyle has a large selection of richly textured fabrics in cream, parchment, oyster and ivory to create the room of your dreams. A dye lot is a record taken during the dyeing of yarn to identify yarn that received its coloration in the same vat at the same time. Yarn manufacturers assign each lot a unique identification number and stamp it on the label before shipping. Slight differences in temperature, dyeing time, and other factors can result in different shades of the same color between different dye lots of otherwise identical production. 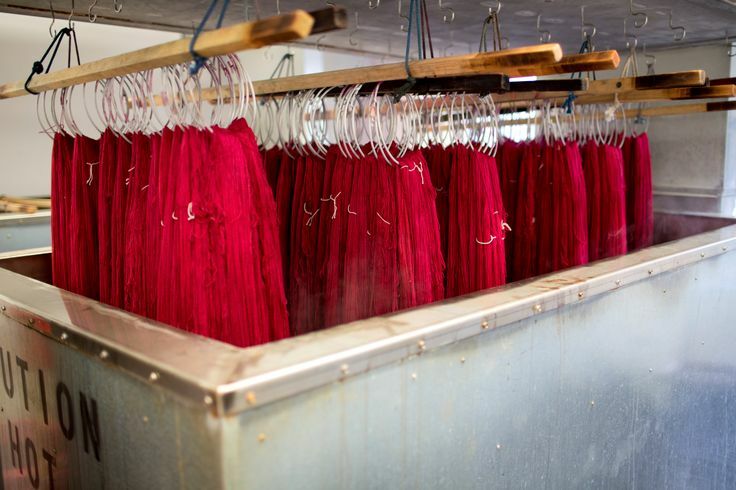 Although the component elements of a dye lot number are of interest only for internal business record keeping, retail yarn consumers have an interest in ensuring that they purchase a given color of yarn from identical dye lots. Woven textile fabrics receive their color in various ways. The most common fabrics are either woven in a natural state and then piece dyed or are woven with a combination of yarn dyed and/or solution dyed yarns. 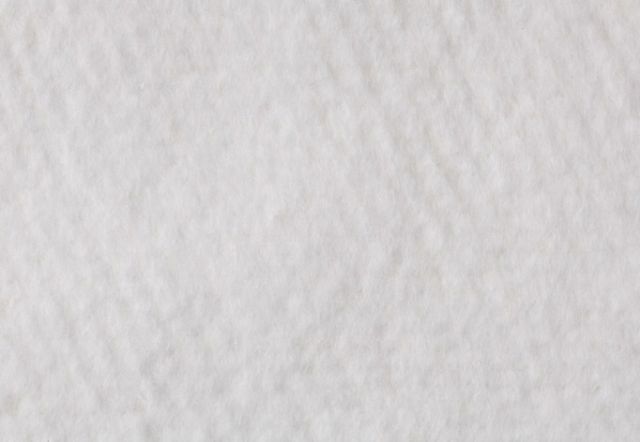 Piece dyeing occurs when the fibers are spun into white or natural yarn and then woven into fabric called greige-goods. After the fabric is constructed, mills then immerse the greige-goods into large tubs or vats where the color is applied to the entire roll. The dyed goods are then dried and finished in preparation for shipping. 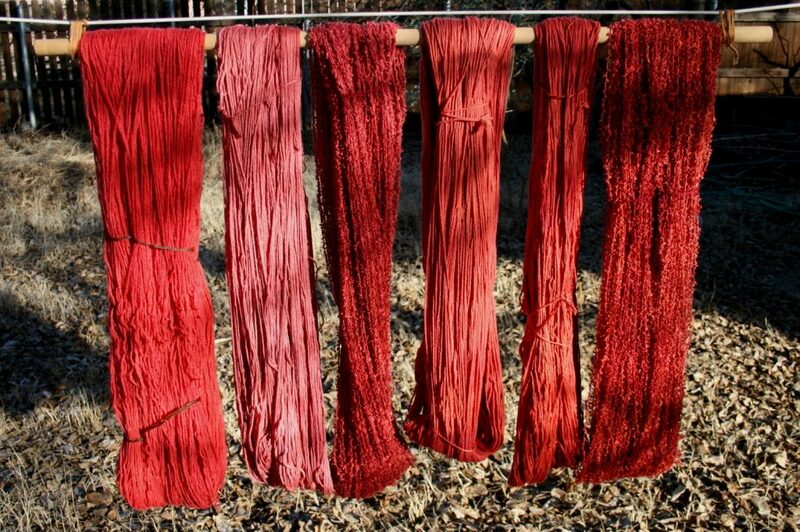 Typical dye lots will range from 300-800 yards at a time based on the weight of the yarn, the type of yarns used, and the dye tub size. This process is most often used in solid fabrics where the mill wants a broad color range. Although excellent and well performing options, piece dyed fabrics typically have the greatest color variance from one lot to the next versus yarn dyed woven fabrics. 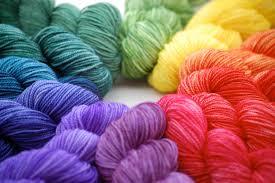 Yarn dyeing applies color after the white or natural fibers have been spun into yarn. 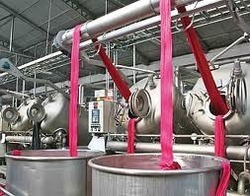 Dyeing occurs when the yarns are wound onto cones and placed into a high pressure tube where the color is applied onto and through the yarn through pressure dying. 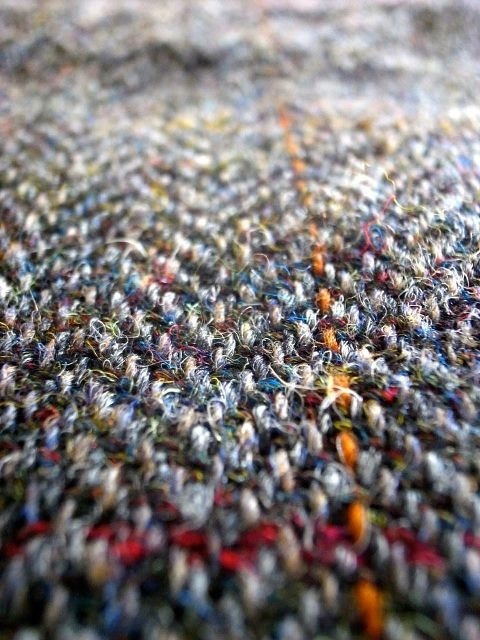 After drying, the yarns are woven into a constructed piece of fabric. Cotton, rayon and linen yarns are often yarn dyed and commonly used for multi colored fabrics such as woven stripes, gingham checks and plaids. 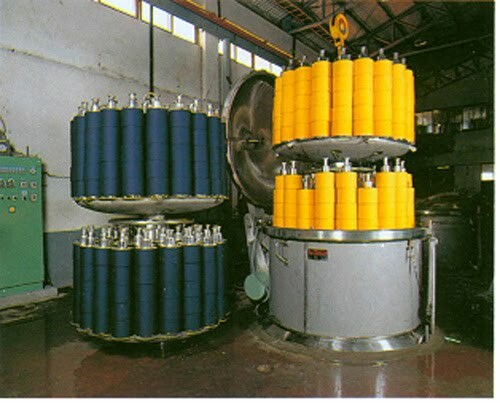 Solution dyeing is commonly used on synthetic yarns like polyester, nylon, polypropylene and acrylic. In this process, color is mixed directly into a liquid solution before being extruded into long fibers and then spun into colored yarns thus making them extremely colorfast and consistent. 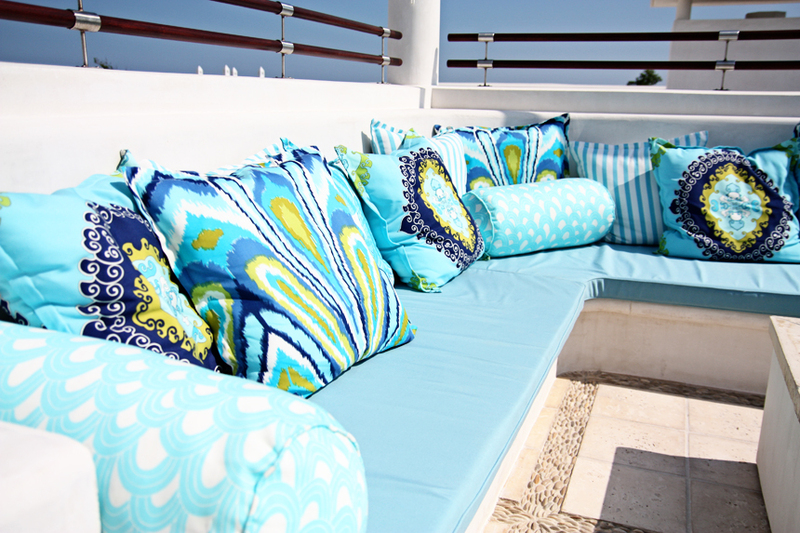 That is why many outdoor fabrics, such as Sunbrella, are woven with solution dyed acrylic or polyester. This process yields large volumes of yarn so typically solution dyed yarns are used in the warp for both commercial and decorative fabrics. These colored fibers are then woven into finished goods often using yarn dyed goods in the filling. Color consistency on these types of products is excellent. During the color dyeing process, the batch of yarn or constructed fabric is assigned an identification number recording the specific color formula it received. Even though the same dyes are used every time, noticeable color variations can occur especially in piece dyeing of finished goods. What causes color variations in dye lots? Temperature, time, water source and human error all contribute to slight variations between dye lots. The difference can be subtle to extremely visible. Industry standards allow up to a 6% difference in a color variation. DrapeStyle makes every effort to insure that the fabric sample you receive is from the same dye lot as the fabric we purchase for your job. Our fabric vendors have been in business for many any years and they also do everything they can to insure consistency with their dye lots. Because of these industry standard dye lot variations, it’s important you always purchase enough fabric of the same dye lot in order to complete your window treatments. So if you are ordering multiple drapes and/or shades for the same room, we strongly suggest that you order them all at the same time to insure the fabric comes from the same dye lot. If you have any questions about Dye Lots or window treatments, please contact us. We are happy to answer any questions you may have. 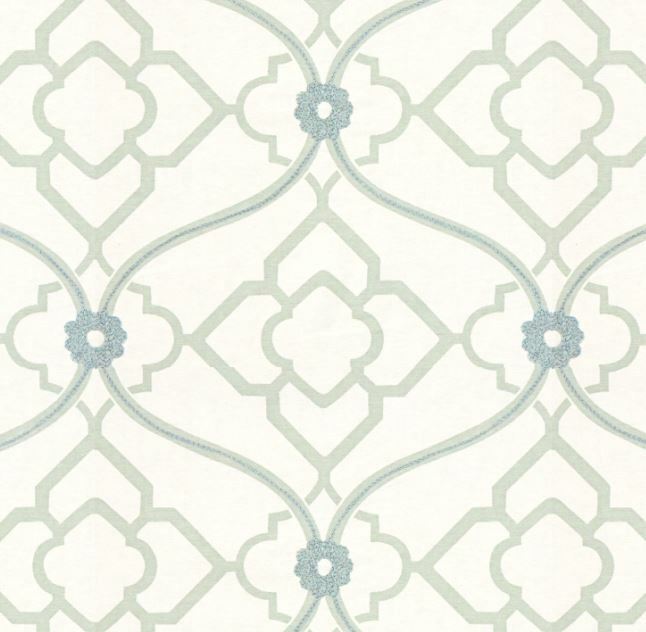 DrapeStyle is pleased to introduce the addition of Candice Olson fabrics. World renowned interior designer, TV star, and author, has made her way to DrapeStyle and we couldn’t be happier! Candice Olson, a leading designer in the United States and Canada, began her career in commercial and residential design after graduating from the School of Interior Design at Ryerson University in Toronto, Canada. Candice received accolades and media attention for her distinctive and exceptional work before moving her design career to television. In fact, earlier in her career, The New York Times identified her as “one to watch”. Candice’s foray into television began when a Canadian station profiled one of her award-winning design projects. 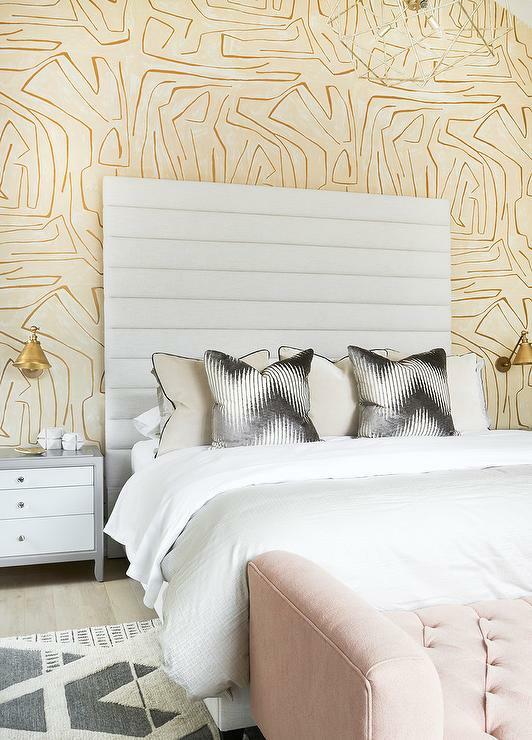 Her unique approach to residential design and her engaging personality led to a weekly stint as a design contributor to the show. Today, Candice can be seen as the host and designer on HGTV’s Candice Tells All, Devine Design and as a judge on Design Star. She has been featured on the Today show, LIVE! with Regis and Kelly, The View and The Oprah Winfrey Show. In addition, Candice writes a syndicated biweekly newspaper column that runs in more than 400 U.S. newspapers. “The collections I have created embody my signature fusion of traditional form, scale and proportion with the simplistic beauty and crispness of modern design. The marriage of contrasts; old and new, minimal and adorned, sleek and lustrous, delivers a look that is current yet timeless, fresh yet familiar. 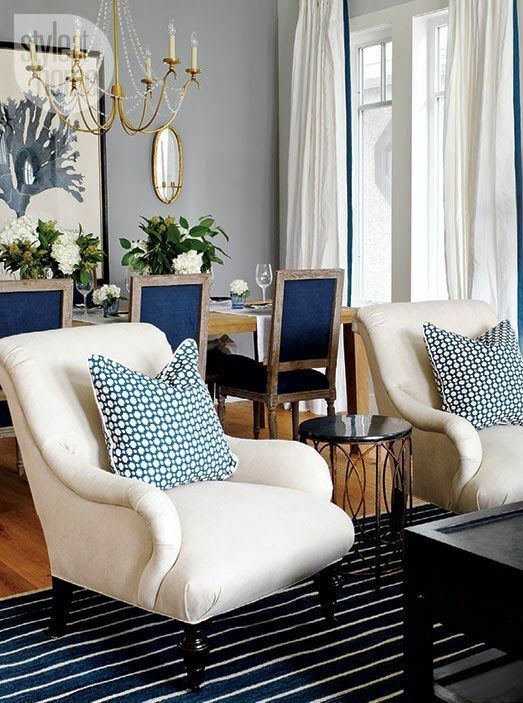 In 2005, Candice launched “The Candice Olson Collection” a successful brand of home decor products, including upholstered furniture, fabrics, wallpaper, lighting, bedding and more. 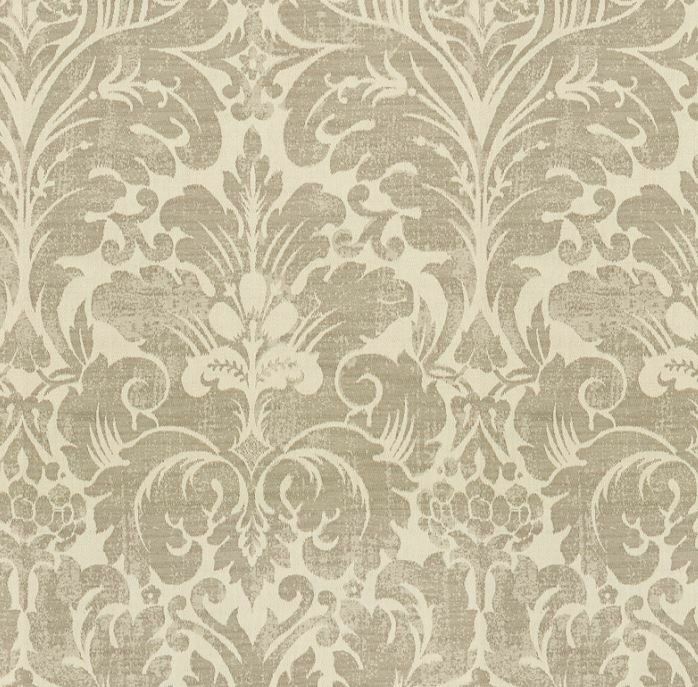 We invite you to view our new fabric collection and order samples for yourself. Since 2002, quality fabrics, quality craftsmanship, excellent customer service. 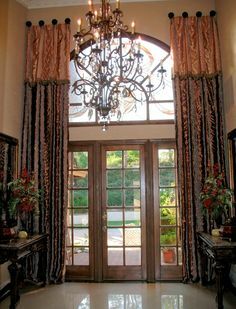 Let us help you create your dream drapes! DrapeStyle now includes a continuous cord loop on all of its’ Roman shades. 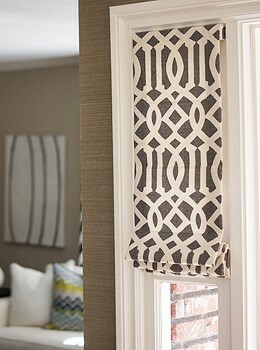 There has been a lot of talk in the media about some retailers offering safer solutions for cords for Roman Shades. The safety of our customers is very important to us. This is one of the reasons DrapeStyle has decided to discontinue making Roman Shades with the standard cord lock. DrapeStyle will offer continuous corded shades as our standard cord, so that we can continue to manufacture custom window treatments for our customers. Some of the benefits of a continuous cord; it has a fixed length, no matter the size of the shade. The cord loop remains the same length whether the shade is up or down, creating a neater appearance and there won’t be any dangerous dangling cords. The continuous cord also has a break away feature, should something get caught in the cord, the continuous cord will break in half. This is also great news for large and heavier shades. The continuous cord distributes the weight evenly and will allow you to easily lift and lower the shade no matter how heavy or how large the shade is. DrapeStyle can make Roman Shades to your specifications, even larger ones that you won’t find at your typical drapery store. As manufacturers continue to innovate and introduce new technologies, DrapeStyle will continue to look into other cording options for Roman Shades. Current corded products comply with the current safety standards are essential to meet the needs of consumers, including the elderly and users with disabilities. DrapeStyle will continue to offer great prices on custom made Roman Shades. 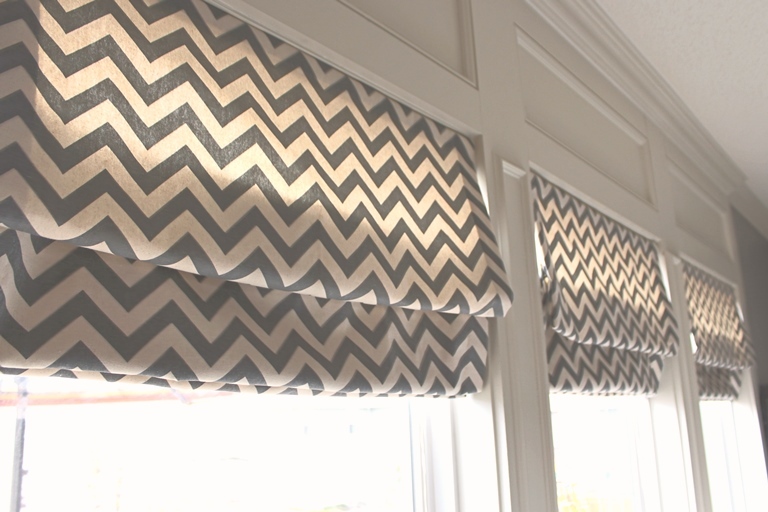 Any of our over 500 fabrics can be used to make Roman Shades. With all of these fabric choices and five different pleat styles, the possibilities are limited to only your imagination. If you have questions about our Roman Shades or need a little advise ordering them, please feel free to contact us. Here at DrapeStyle we feature several designers. One of which is Trina Turk. Her fabrics are bright and bold, creative with a touch of retro. Over the past two decades Trina’s modern and upbeat outlook has melded classic American design with a California confidence. What began as a women’s clothing collection has organically evolved into a many categories, with California-inspired patterns and pure color leading the way. 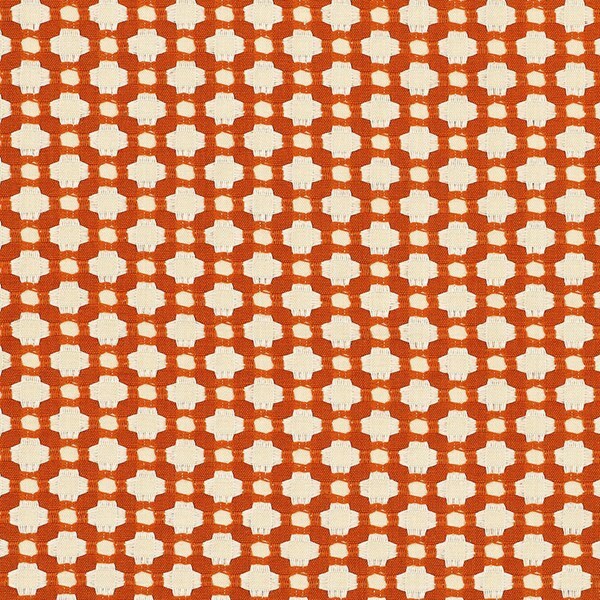 Trina Turk Fabric is by far one our favorite lines. 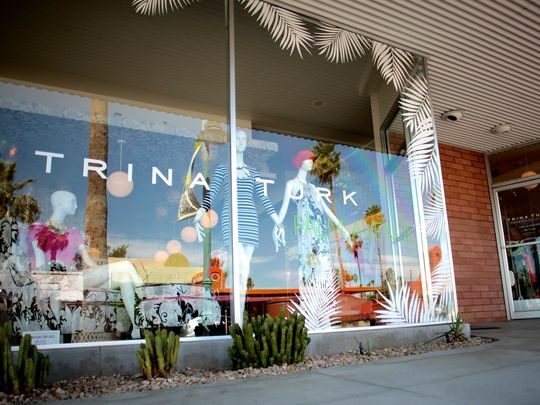 Trina Turk is an amazing designer, partly because she knew at a fairly young age what she wanted to do when she grew up, followed her passions, and now she is extremely successful and has evolved what began as a women’s contemporary clothing line into a mini lifestyle brand. Trina studied apparel design at the University of Washington, leading her to work for various companies designing ready-to-wear women’s apparel. Trina realized in 1995 that her resume wasn’t going to cut it if she wanted offers to design her own line of women’s clothing. Her next step was to launch her own company-selling everything from fabric to home accessories. And within the same year, her products were being sold in major department stores such as Barney’s New York and Saks Fifth Avenue. In 2009 her wholesale sales topped $40 million. Her successes lead to the opening of her own boutiques in major cities around the United States. Those boutiques and her online store are a huge success today. 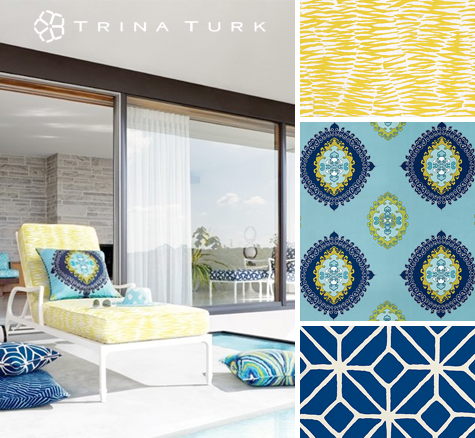 Trina has drawn constant inspiration from the cocktail party and poolside lifestyle of the desert, which definitely lead to her line of indoor/outdoor fabrics for F Schumacher. Trina Turk Fabric for F Schumacher is filled to the brim with eye-popping colors and patterns that without a doubt will add excitement to any design. Many of which you can view here. The fabric quality is to die for, not to mention how cute it is! 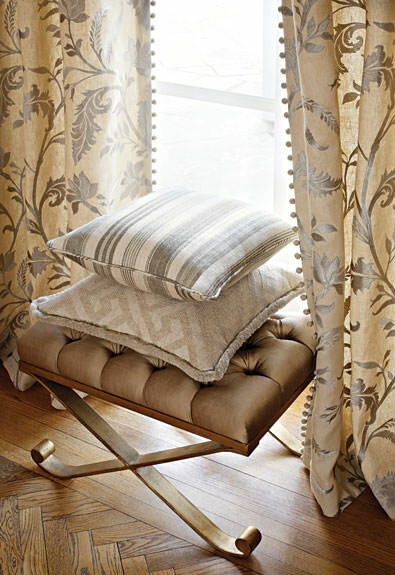 Whether you use the fabric for upholstery, drapery, or outdoor cushions, it is destined to be a great accent. Her geometric fabrics are a best-seller and have definitely landed her a place on our list of favorite designers! 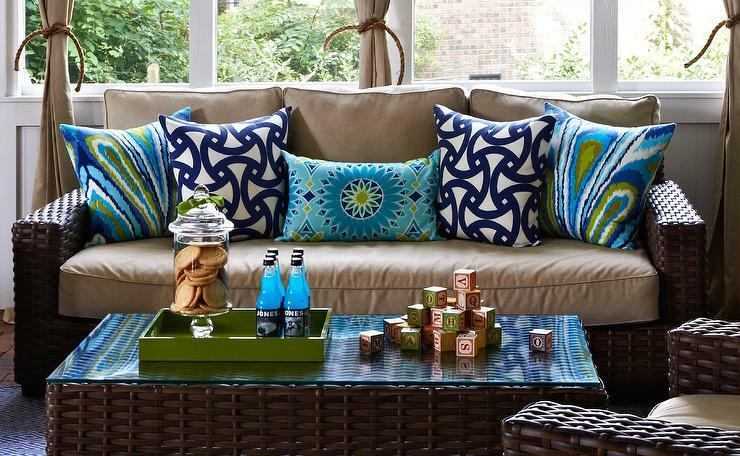 See all of Trina Turk’s bright and breezy outdoor fabrics, available for custom made pillows and drapes, by DrapeStyle. 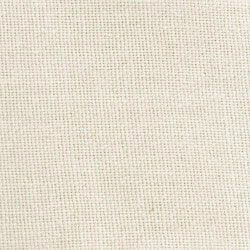 If you need a little help determining the size of your drapes, or if you would like to order fabric samples, contact us. We’re here to help. We want to help you design your dream drapes. You decided on the house with the big, beautiful, panoramic windows. But now what? The windows are dramatic and provide amazing views but can be somewhat of a challenge when it comes to buying custom curtains or drapes. 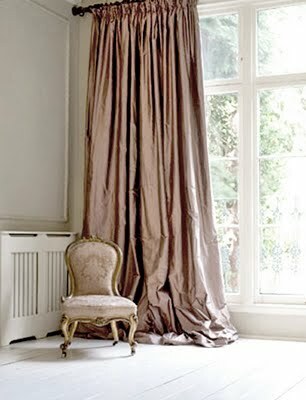 If you visit the typical retailers you are probably not going to find drapery that will cover extra long windows. Most retailers won’t have drapes that go beyond 120 inches. And that’s where DrapeStyle comes in. Everything we make is custom made, so yes, we can make drapes for your windows. Any width. Any length. Any fabric. Another option for adding a little color and pattern to your windows, would be decorative panels. 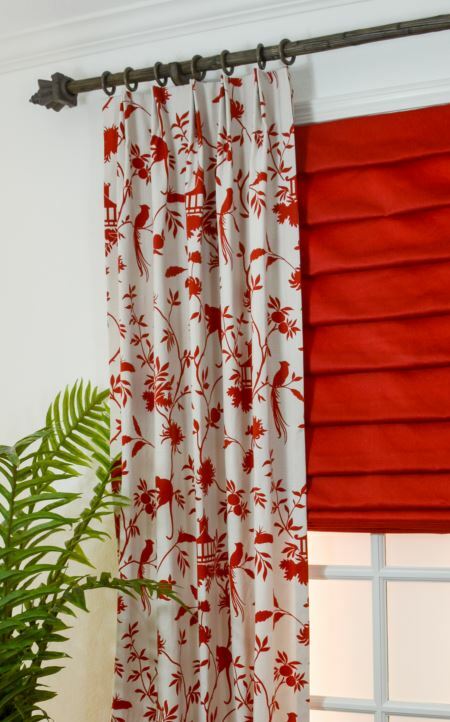 Drapes that do not open and close, they instead are stationary and provide much needed color to the walls. Need privacy? Consider adding our sateen privacy lining or for a truly room darkening effect, add blackout lining. Perfect for darkening the room when you want to watch a movie or take a nap. So where do you start? 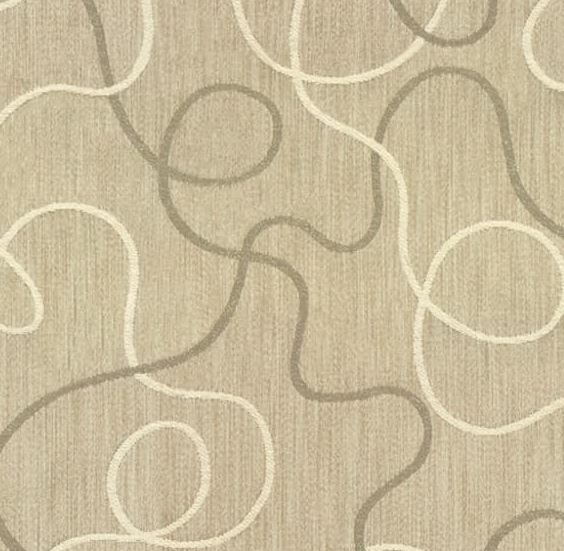 We suggest that you go through our fabric samples and select a few that you like. You will receive your samples within a few days and you will be able to see for yourself how each fabric looks in your home, in your light. Then, check out our measuring guide to determine the best fit for your window. Or, if you need a little help, please contact us. 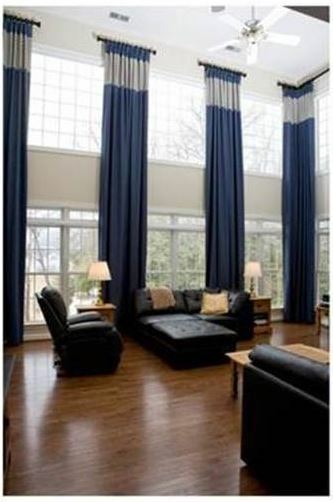 One of our designers will help you through the process and determine the best size draperies for your tall windows. Insulating drapery helps regulate temperature and can dampen sound. All drapery lining will give some degree of insulation, but certain linings are specifically designed for it. They can help save on heating costs by reducing drafts and heat loss during the winter, and can keep things cooler in the summer by blocking heat from the sun. 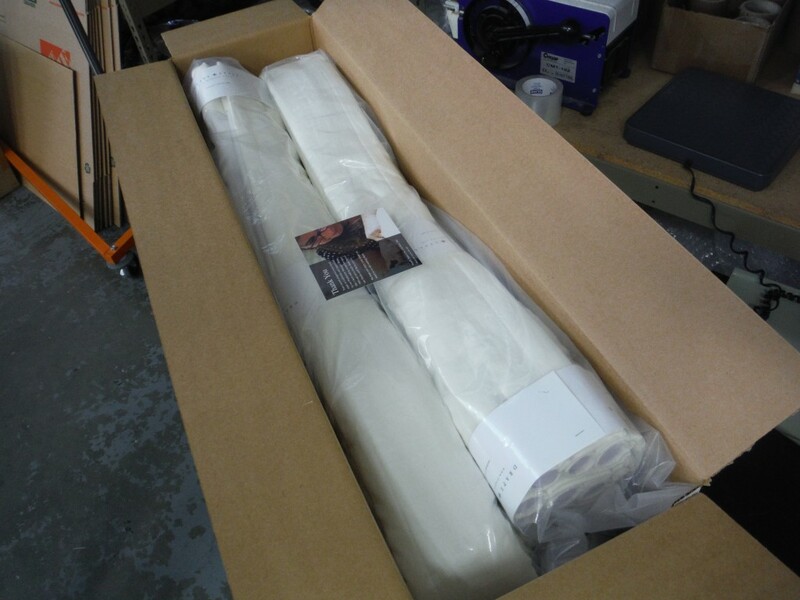 Insulated drapery lining also dampens sound and can help block outside noises. Flannel interlining will provide a thin layer of insulation between the lining and the fabric. 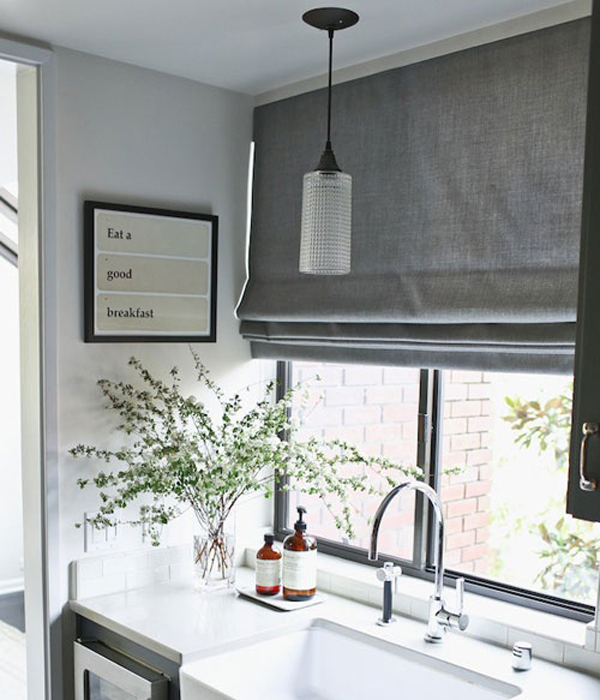 Available in a neutral color, flannel interlining will help insulate your windows from the heat and the cold as well as add body and fullness to your draperies making them look more full and luxurious. DrapeStyle uses a 100% cotton, premium, heavy-weight flannel interlining. The flannel is loosely woven to provide a greater insulating factor and dramatically add to the fullness of your custom drapes. 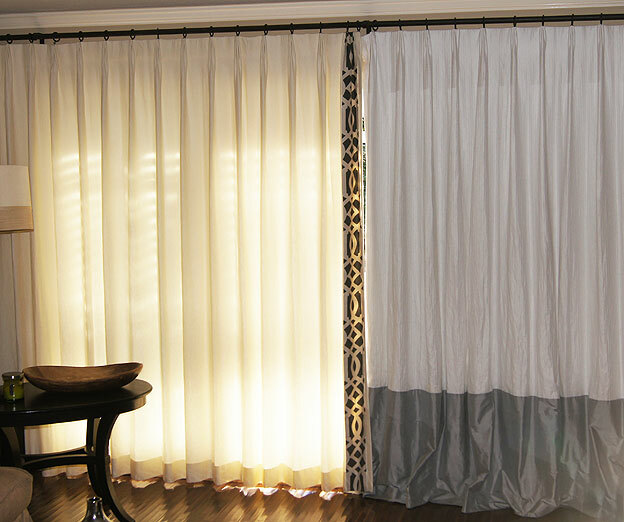 You may choose to add flannel interlining and standard lining, or flannel interlining and blackout lining to your custom drapes. Bump interlining is particularly effective at thermal and noise insulation. 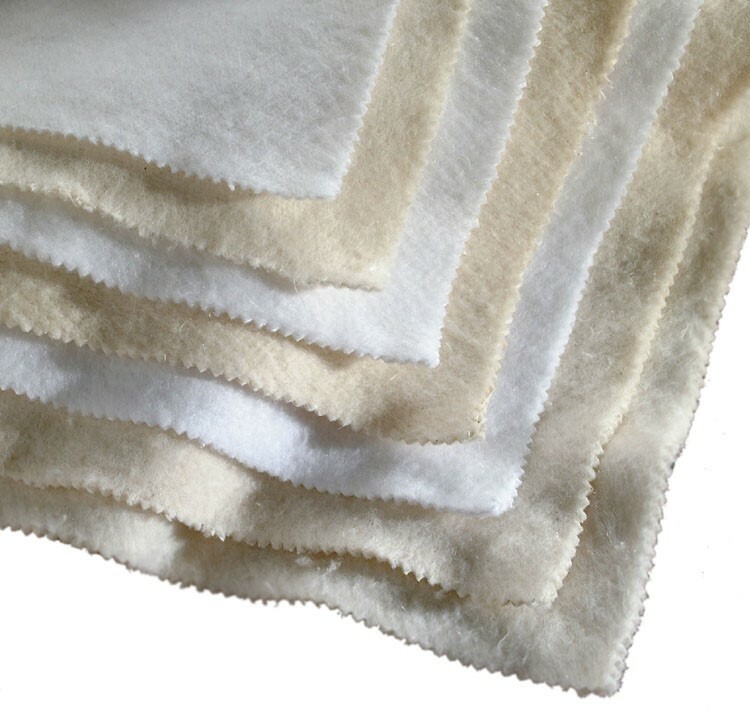 Bump Interlining, or “English Bump” as it is often called is an extremely heavy-weight 100% cotton flannel interlining. The name “English Bump” refers to its use as the home’s primary insulation in early nineteenth century England. At more than twice the thickness and weight as our flannel interlining, bump is the perfect choice when sound and climate insulation are required. Bump is sandwiched between the fabric and the lining. You may add bump with your standard lining or blackout lining. 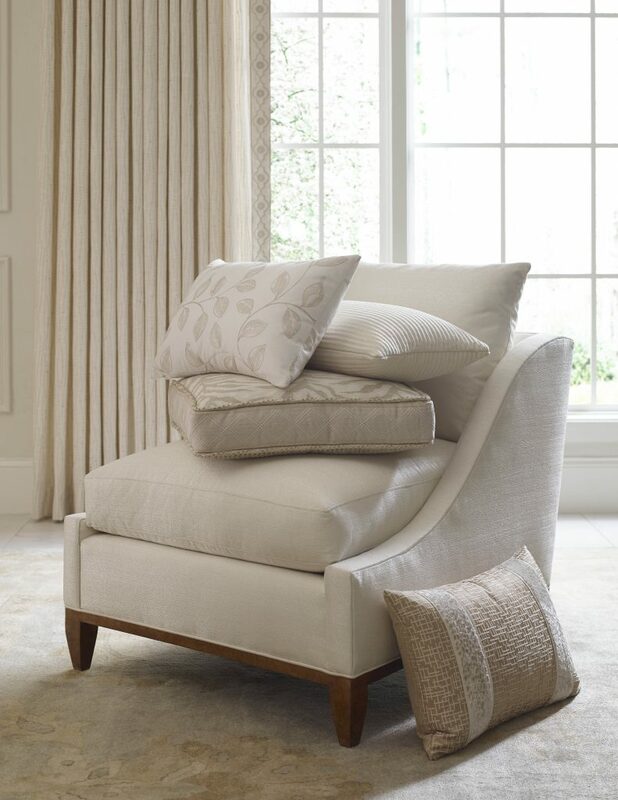 Because it’s thick, bump is often used to create fuller, heavier looking draperies that have a luxurious feel. If you are thinking about insulating your draperies and have questions, please contact us. 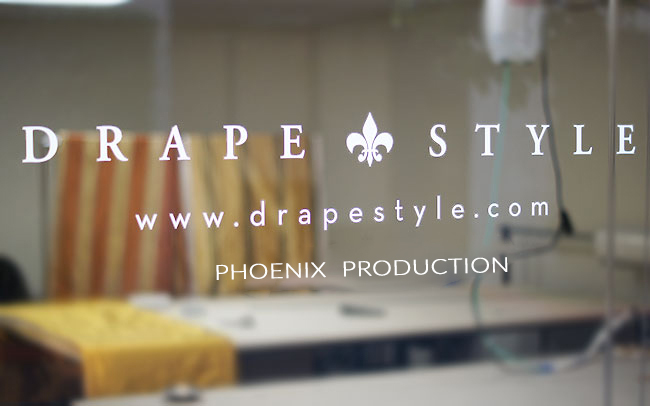 Here at DrapeStyle everything we do is custom made so you can truly create the drapes of your dreams. Please see our website for more ideas and inspiration, or order a free catalog. 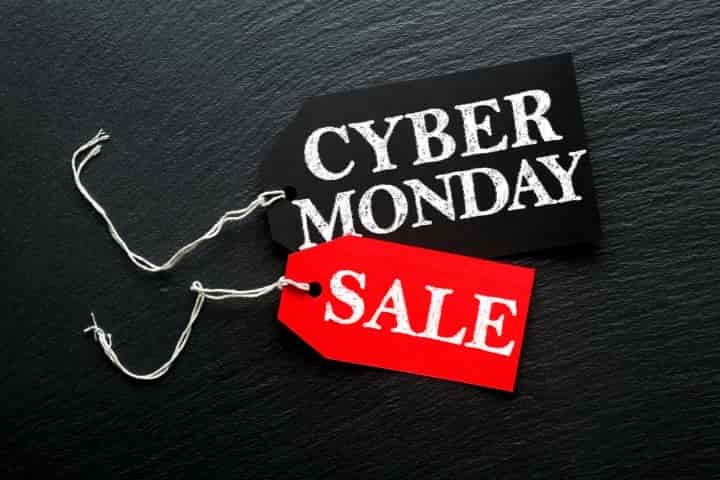 And, orders placed by the end of the month will also receive free shipping. See website for full details.